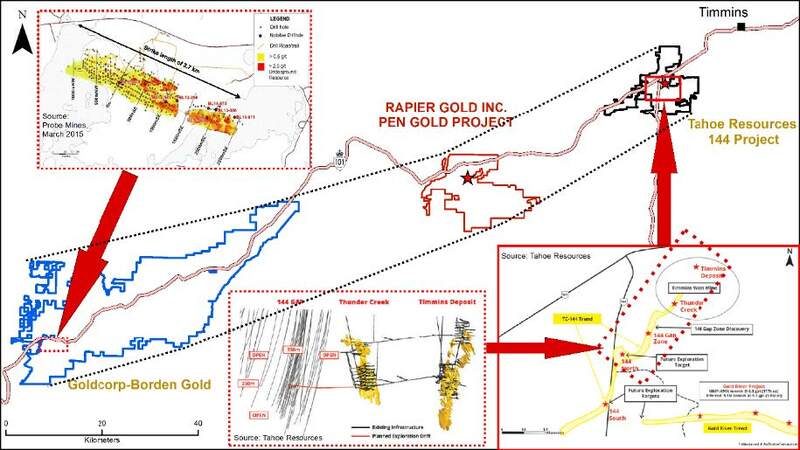 Rapier Gold Inc. (TSX VENTURE:RPR) (the "Company") is pleased to announce a non-brokered private placement to raise up to $500,000 through the issuance of up to 5,000,000 flow through shares (the "FT Shares") at a price of $0.10 per FT Share (the "Offering"). Finder's fees in the amount of 6% cash and 6% compensation warrants may be paid. 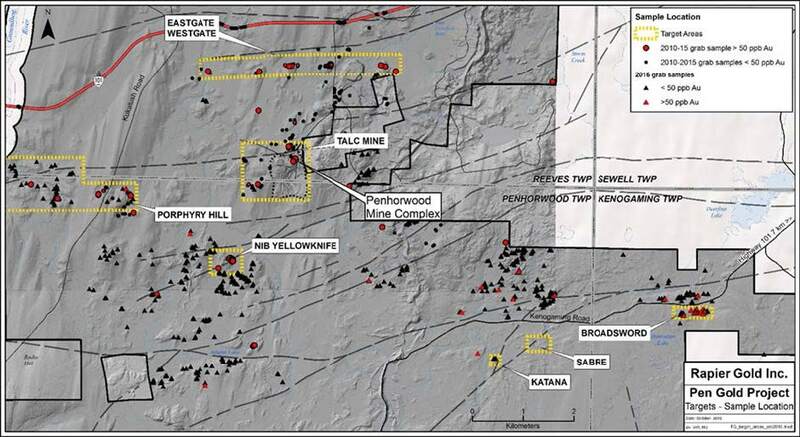 "Exploration activities are under way and we look forward to reporting results to our shareholders in the coming months," stated David Lotan, Interim CEO. The proceeds from the Offering will be used for the advancement of the Pen Gold Project. The Company reserves the right to increase the size of the Offering or to modify the type, nature and/or price of the Shares for any reason. The Offering and any modification to it are subject to compliance with applicable securities laws and approval of the TSX Venture Exchange. The shares will be subject to a statutory four-month hold period. This news release does not constitute an offer to sell or a solicitation of an offer to buy nor shall there be any sale of any securities in any jurisdiction in which such offer, solicitation or sale would be unlawful. The securities have not been and will not be registered under the United States Securities Act of 1933, as amended (the "U.S. Securities Act") or the securities laws of any state of the United States and may not be offered or sold within the United States or to, or for the account or the benefit of, any person in the United States unless registered under the U.S. Securities Act and applicable state securities laws or pursuant to an exemption from such registration requirements. Cautionary Note Regarding Forward Looking Statements: Certain disclosure in this release constitutes forward-looking statements. In making the forward-looking statements in this release, the Company has applied certain factors and assumptions that are based on the Company's current beliefs as well as assumptions made by and information currently available to the Company, including that the Company is able to procure personnel, equipment and supplies required for its exploration activities in sufficient quantities and on a timely basis and that actual results of exploration activities are consistent with management's expectations. Although the Company considers these assumptions to be reasonable based on information currently available to it, they may prove to be incorrect, and the forward-looking statements in this release are subject to numerous risks, uncertainties and other factors that may cause future results to differ materially from those expressed or implied in such forward-looking statements. Such risk factors include, among others, that actual results of the Company's exploration activities will be different than those expected by management and that the Company will be unable to obtain financing, or will experience delays in obtaining any required government approvals or be unable to procure required equipment and supplies in sufficient quantities and on a timely basis. Readers are cautioned not to place undue reliance on forward-looking statements. The Company does not intend, and expressly disclaims any intention or obligation to, update or revise any forward-looking statements whether as a result of new information, future events or otherwise, except as required by law. About this company Rapier Gold Inc.